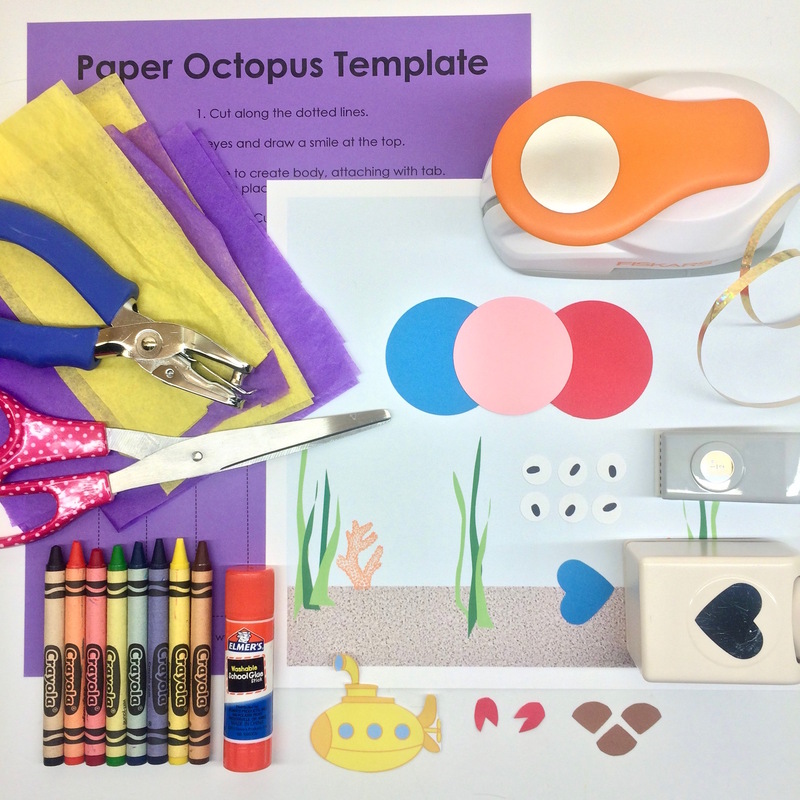 Pass out an octopus template for each student. Ask students, how many legs does an octopus have? Count together using sample! 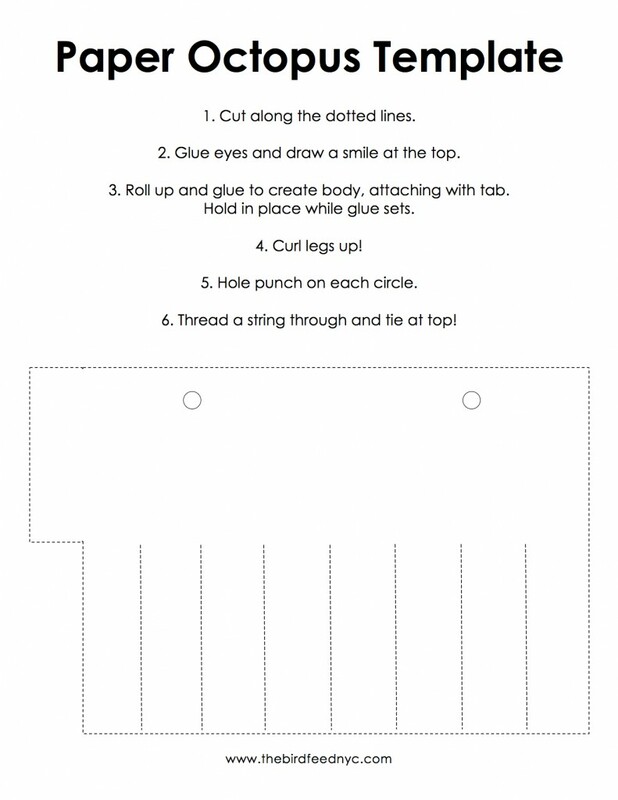 Step 1 (create octopus): Cut along the dotted lines to create the legs then, in the center of your template, paste 2 eyes and draw a smile with crayon. 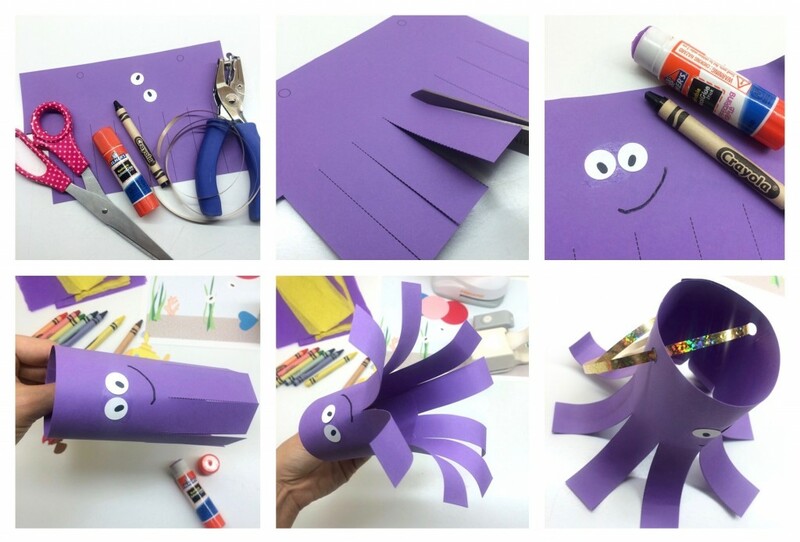 Wrap the template up, attaching at the tab with glue, to create the octopus body. Hold in place for a minute until it is secure then curl the legs up! 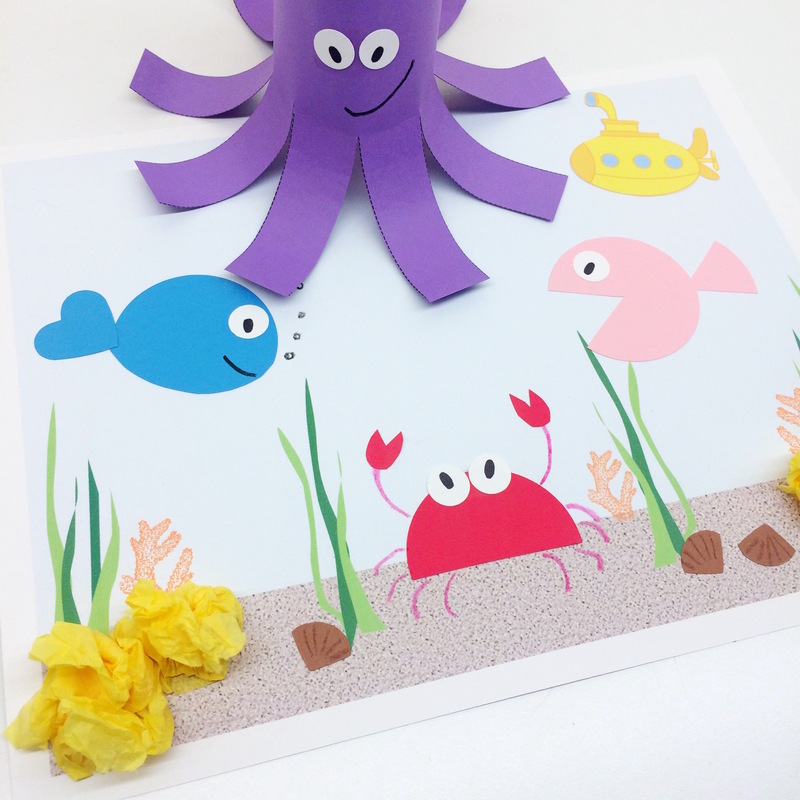 With the help of an adult, hole punch 2 small holes on each side of your octopus, thread a string through and tie above. Set aside. Ask everyone to find a big red circle. We’re going to turn this into a crab! 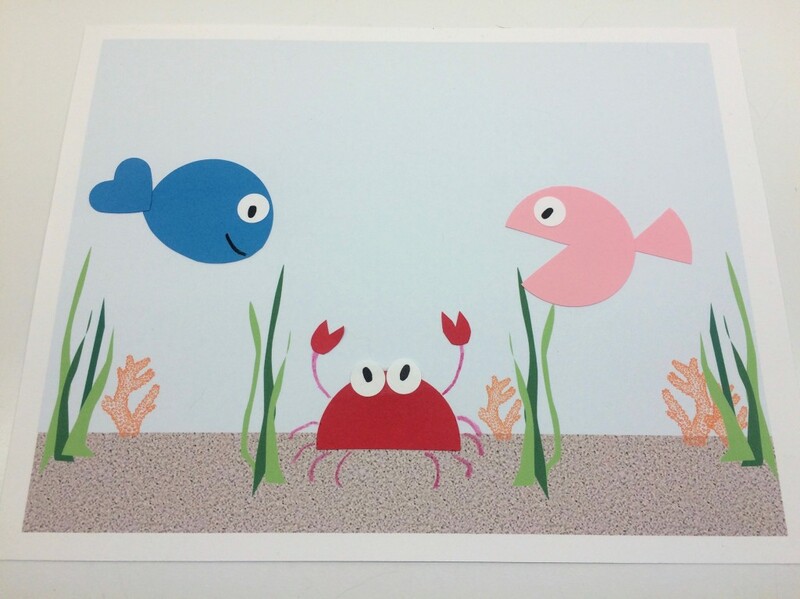 Can kids find 2 red crab claws and 2 white eyes? 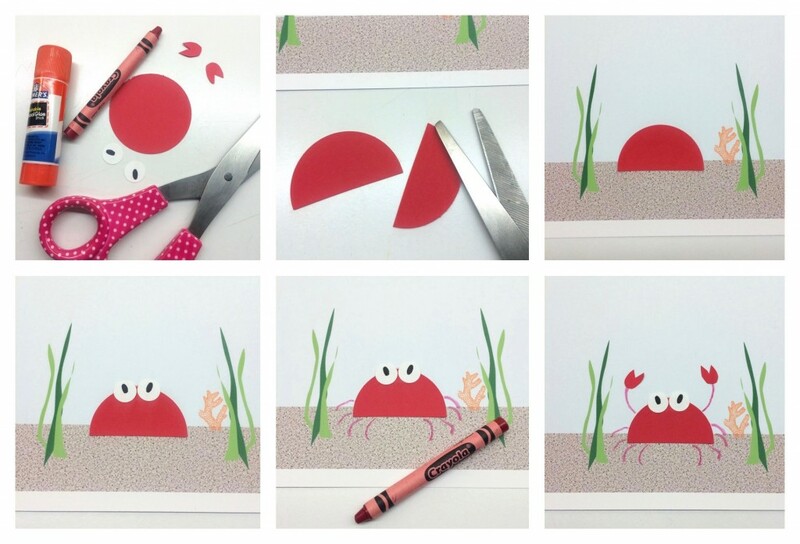 Step 2 (create crab): With the help of an adult, cut your red circle in half. Glue in the center of your ocean floor with the rounded side on top. Next, let’s give our crab 2 eyes at the top of his head. Glue 2 white circles on your crab’s head. 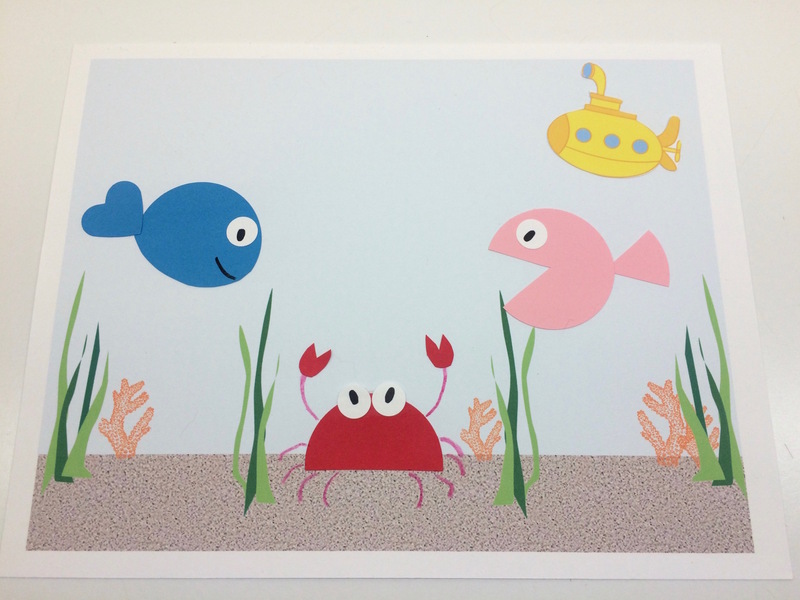 What is our crab missing? (Legs!) Using a red crayon, draw 8 crab legs from the crab’s body to the ocean floor. 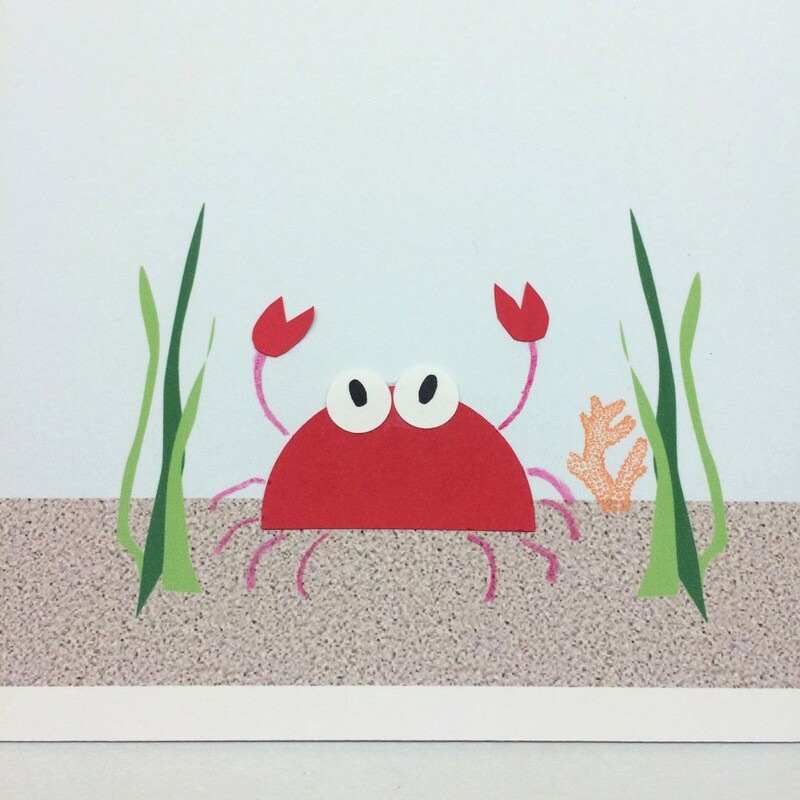 Draw 2 more front legs on the top of your crab and attach your red claws! 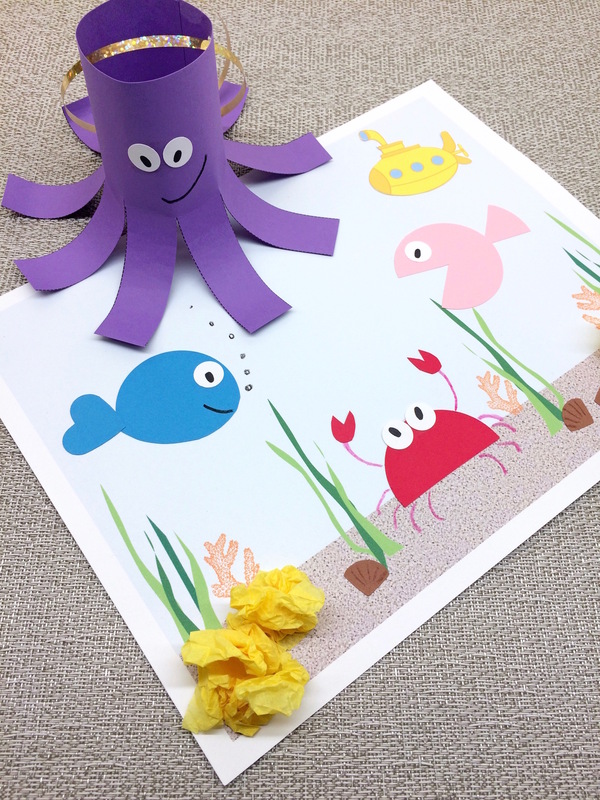 Next, let’s create fish using circles, triangles and hearts! Step 3 (create fish): Round fish: cut triangle mouth out of circle & use triangle for tail. Add eyes. Fish with heart tails: cut the bottom of a circle off, following the curve of the circle, creating a slimmer fish. Add a heart tail and eyes. 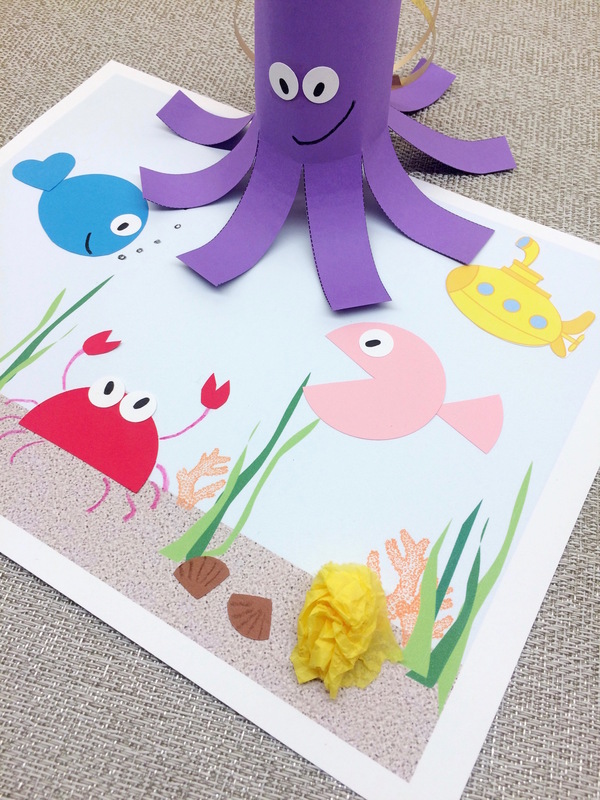 Ask kids to get creative and create a 3rd type of fish! Another famous Beatles song is “Yellow Submarine”. Does anyone know what a submarine is? 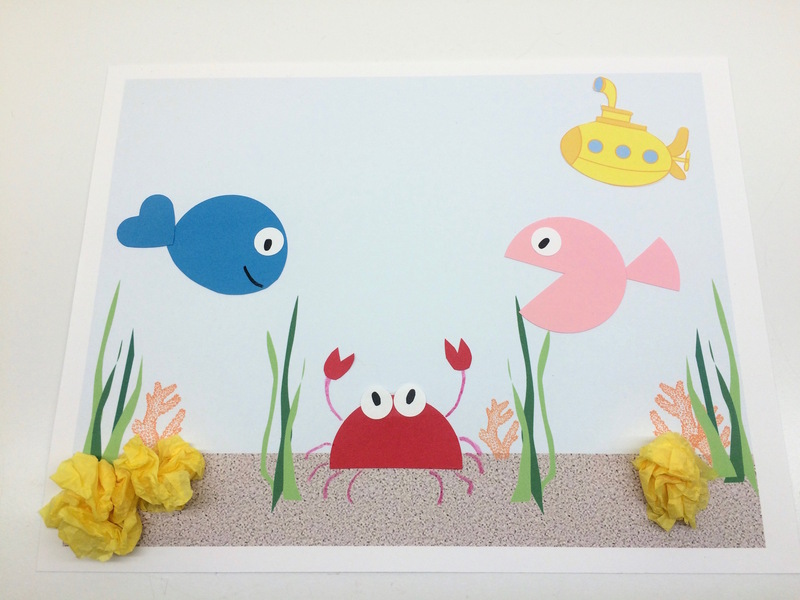 Let’s add a yellow submarine to our ocean! 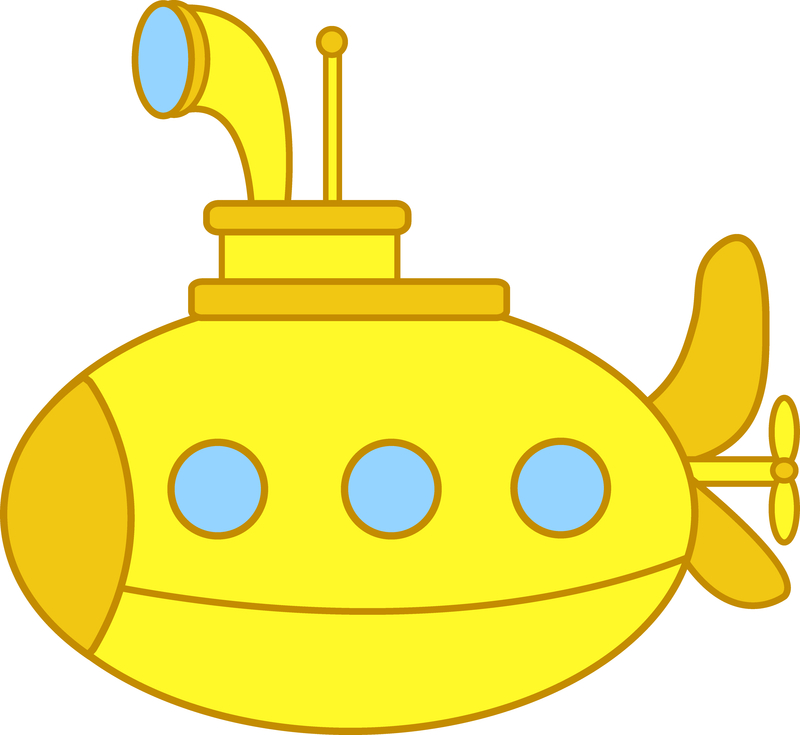 Step 4 (yellow submarine): glue a yellow submarine in your ocean. Look at picture of coral. 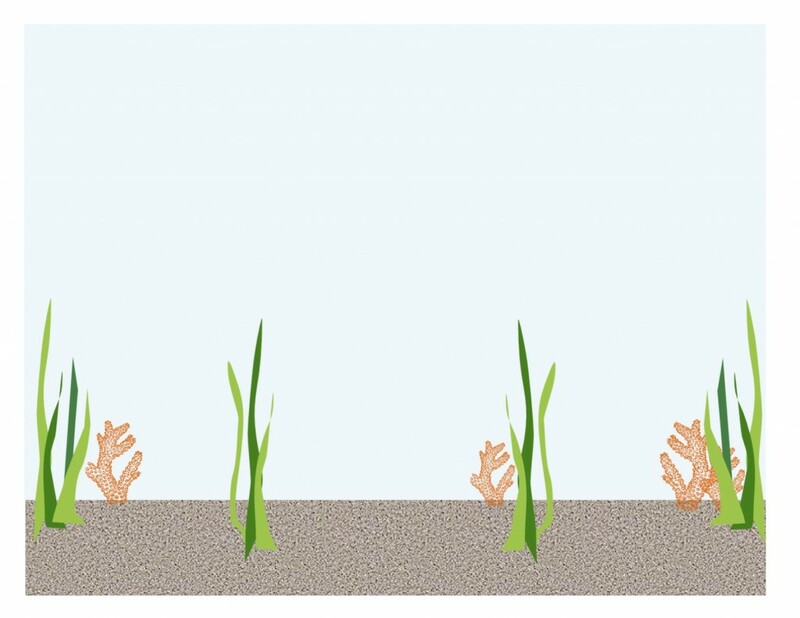 Coral lives on our ocean floor! Let’s create coral with tissue paper. Step 5 (coral): Crumple up small pieces of tissue paper to make different colored coral and glue to ocean floor. Our last step is adding details to our octopus’ garden. Shells, bubbles, more fish, etc! 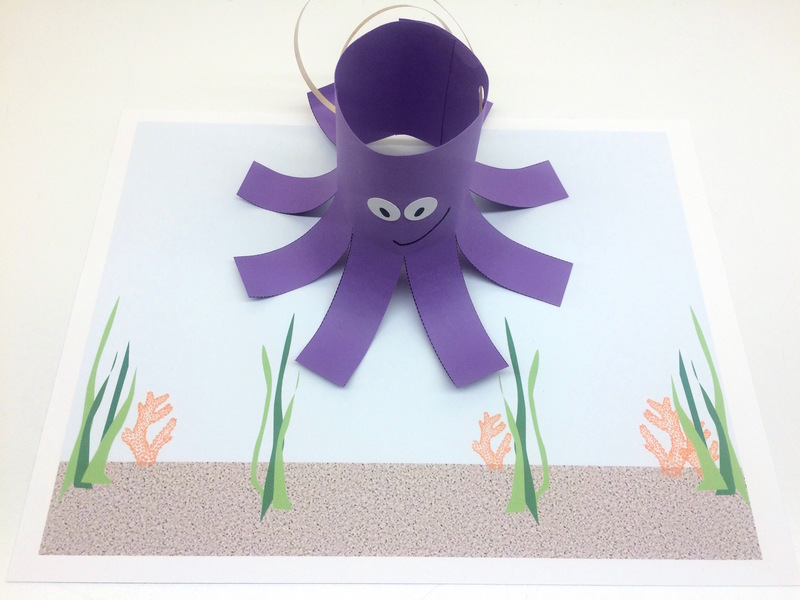 Sit your octopus in the garden or make him dance, holding him by the string!